Greg Feldmann, President of Skyline Capital Strategies, LLC, has been retained as the Senior Advisor to The Launch Place Seed and Pre-Seed Funds. Greg brings more than 30 years of experience serving in roles related to commercial banking, strategic advisory work, corporate financing, investment banking and executive/board leadership positions in both public and private companies. Greg is an acknowledged subject matter expert in strategic planning, executive and board leadership, and line of business management. He is a strategic thinker with ability to translate plans into action. 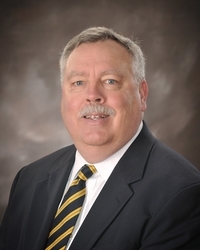 During his career, Greg has served as President and CEO of three community banks including StellarOne Bank, First National Bank of Christiansburg, and Salem Bank & Trust. Greg received a B.A. in Classical Studies from Hampden-Sydney College, where he was a Baker Scholar and selected for inclusion in a variety of academic and leadership honorary fraternities including Phi Beta Kappa, ODK, Eta Sigma Phi, and Phi Alpha Theta. He has undertaken advanced studies in commercial banking through the University of Virginia’s banking programs, successfully passed the Series 7, 24, 63 and 65 securities exams and completed the NVCA’s venture capital certificate program. In 1989 he was awarded a National Leadership Fellowship by the W. K. Kellogg Foundation, which he used to study privatization and the threats posed by development to the world’s rainforests.